Do you love smoothies? I do! I could drink one for every meal...but then I'd have to find a way to mix in hot sauce because boy do I love hot sauce. While I was making my usual cup of loose leaf jasmine green tea last night I was trying to think of other ways to have green tea. 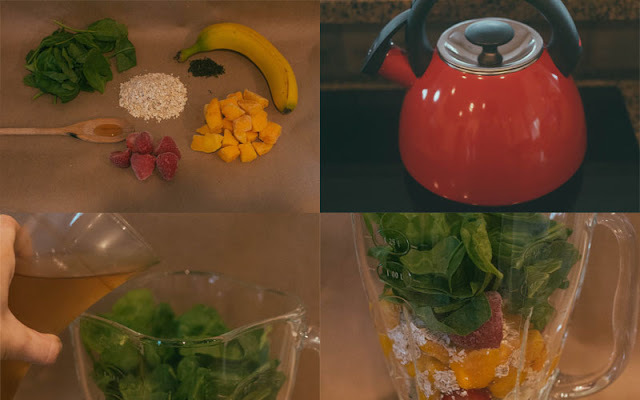 The possibilities are endless and there are many green tea smoothies out there, here is my concoction! 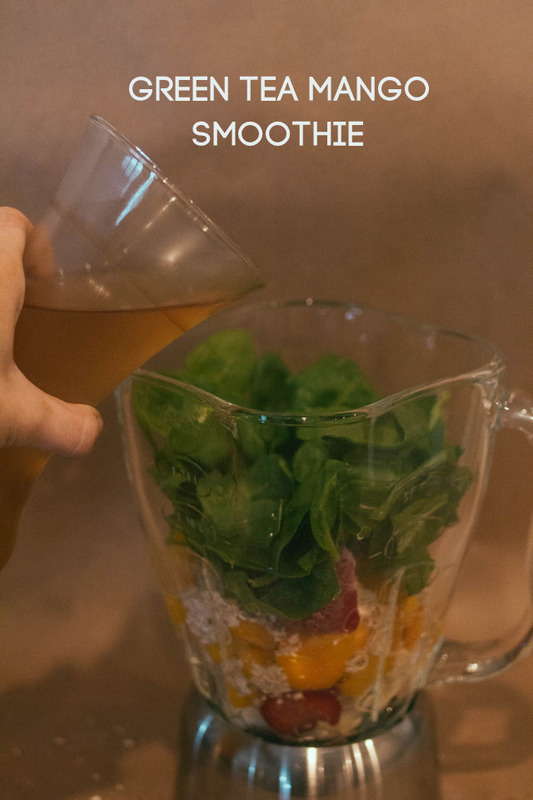 Ingredients: 1 banana, 1 cup of chopped mangoes, 1/3 cup strawberries, drizzle of honey, 1/3 cup oats, handful of spinach and 1-2 cup(s) of steeped green tea. Start by boiling your water and steeping your green tea, put it in the fridge to chill..I did this overnight. Put all your ingredients in a blender as well as the tea and blend. Enjoy your fresh smoothie! This immediately became my favorite, involving two of my favorite things: tea and smoothies. Feel free to play around with this, I want to try it out with blueberries next! This looks delicious! 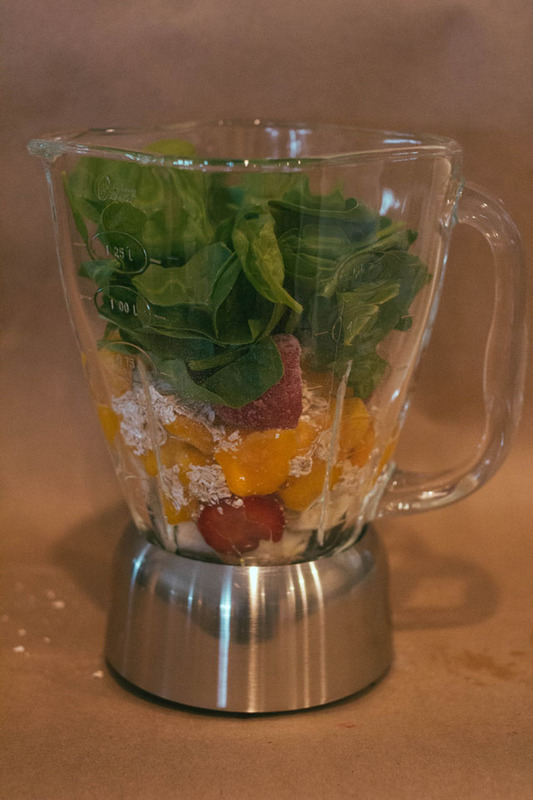 I just posted a green smoothie post this morning! Great minds think a like. I am so going to have to try this recipe!